Bathrooms are very important place for us as we take bath there and refresh ourselves in order to restore the energy levels. But do you know that if your bathroom is not waterproof then there can be many problems that you have to face in further future. You might be thinking of what major problem can be there then we must inform you that most of the fatal bacteria like humid places and if your bathroom hasn’t have waterproof function then there are lot many chances that these bacteria will create serious health issues for you! All the people know that dampness is caused due to high level of moisture and bathroom is one and only place that has been marked as a place where extreme level of moisture is present. It is very common that places that are closer to the bathroom have more chances of dampness then other areas. Dampness can destroy materials made by wood, concrete and even iron and can also make your place unhygienic. Pests love places that have lot of moisture as these places are perfect for their breeding. That is why you should opt for completely waterproof bathroom that keeps off the moisture. Most of us like atmosphere where temperature is stable and that is why we install machines like Air-Conditioner for this purpose. But extra moisture makes your house humid place, lot warmer and uncomfortable. Even though AC can remove moisture from your rooms but if your bathroom is not waterproof then these machines can’t maintain the temperature that you are comfortable with. We all like to take bath in our own ways and most of us like to sing songs, dance and do things that we avoid in front of other people. All these activities can be done in bathroom but if they are waterproof or otherwise you might destroy décor of your house. From wet floors to carpets you will deteriorate everything and then, in order to restore their beauty again, you have to pay high amount of money. 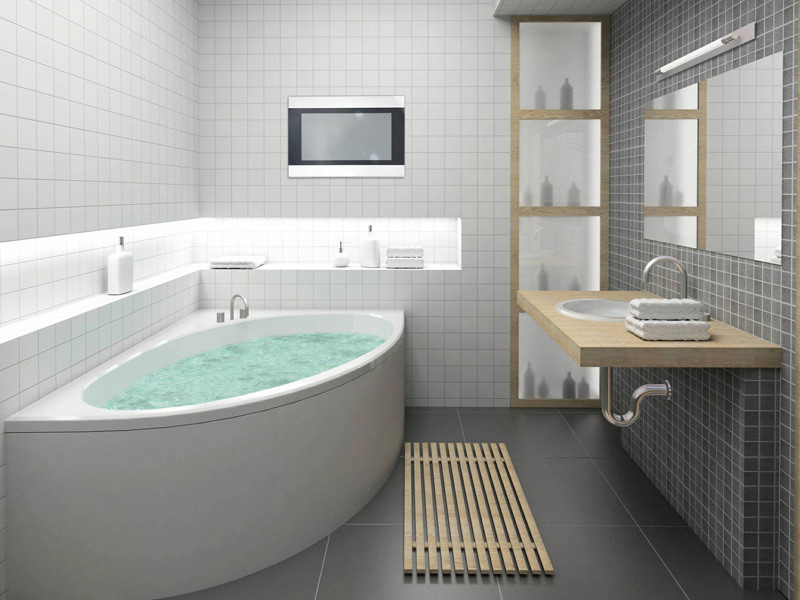 If you want that you can enjoy bath comfortably without worrying about anything then you should opt for waterproof bathrooms. It is very clear that we don’t like water in our rooms and especially on our cloths and documents. That is why you should make sure that your bathroom is completely waterproof so you can enjoy your personal space according to your needs. If your bathroom is not waterproof then your neighbours might feel uncomfortable because leakage in your bathroom can bring negative impact on their living place. There are many cases where neighbor complaint against people that have leakage in their bathroom. Hence, it is very important that you make sure that your bathroom is perfectly waterproof so you and people around you can live a comfortable and smooth life!